In what is quite possibly the most pleasantly shocking news this year, of the whole year, Cavalera brothers Max and Iggor will reunite and tour Oz to play a selection of tracks from the two classic Sepultura albums Beneath The Remains and Arise. Not in my wildest dreams would I have thought this would be a possibility, let alone a real thing. Considering the band played Roots in its entirety only a year and a half ago, this is some seriously massive news and the fact they’re back in Oz so soon makes it even more special. Without diminishing the current Sepultura line-up, this Cavalera tour, as well as the recent previous Cavalera Roots tour, goes to show that some of the greatest metal albums ever created will always be celebrated some 30 years and 28 years later, respectively. Whilst Beneath The Remains and Arise can be seen as poles apart when it comes to comparing metal sub-genres nowadays due to their difference in their tempo, and the inclusion of more experimental sounds in Arise, these two albums solidified Sepultura as one of the greatest metal bands to walk this planet and clearly they still are. These days where metal can be so derivative, there’s a reason metal from such classic bands such as Sepultura is constantly in demand, whether we even knew we would have demanded it or not if it was ever on the table. Chainsaw, with special guests Order Of Torment, plus others, will play Ballarat’s Eastern on Thursday January 31. Soen will release their new album Lotus on Friday February 1. Deafheaven will be at the Corner Hotel on Wednesday February 27. Anaal Nathrakh, with special guests Hybrid Nightmares, will play Melbourne’s Max Watts on Friday March 8. 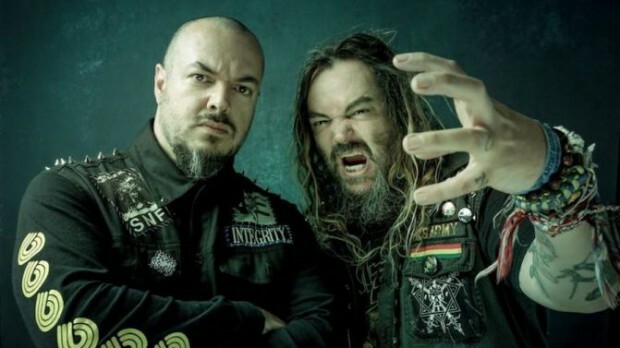 Max and Iggor Cavalera will reunite to perform classic tracks from their landmark albums Beneath The Remains and Arise at 170 Russell on Thursday March 21. Philip H. Anselmo & The Illegals along with King Parrot will play Max Watts on Friday March 22. Obscura with special guests Alarum and Somnium Nox will be at the Corner Hotel on Saturday March 20. Emperor will play their landmark album Anthems To The Welkin At Dusk in its entirety at 170 Russell on Wednesday April 3.